One of Australia's largest solar projects is to be built in NSW after AGL Energy and PV manufacturer First Solar were awarded a $130 million grant from the federal government. The $450 million project, to be built across two sites in Broken Hill and Nyngan, will generate enough electricity to power 30,000 homes when completed by the end of 2015. 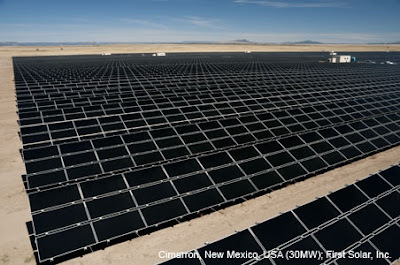 AGL Energy and First Solar were awarded the $130 million grant under the federal government's solar flagships program which supports the construction of large-scale, grid connected solar power stations. Energy Minister Martin Ferguson reopened first-round bidding in February after the consortium behind the initial winner - the Moree Solar Farm - proposed major changes to its project and failed to meet a December deadline to secure a power purchasing agreement. Mr Ferguson on Saturday said the 159 megawatt project in Broken Hill and Nyngan represented excellent value for money and would ensure Australia brought industrial-scale solar power to market. The project is expected to create 150 jobs in Broken Hill during construction and up to 300 in Nyngan. The energy minister said a rigorous assessment process by the independent Solar Flagships Council found the AGL-First Solar bid had the highest level of merit overall "representing value-for-money, low risk and high commercial viability".